What is Plasmolifting PRP Gel? Plasmolifting PRP Gel is a type of aesthetic treatment using autologous plasma (i.e. the patient’s own plasma in their blood) and combining it with the components of the Plasmolifting tube. PRP stands for platelet rich plasma, while Plasmolifting is the trade name of the PRP method and technology used. The Plasmolifting PRP Gel is prepared through thermally processing it in a special thermostat (mini incubator). From the thermal activation, the plasma turns into a form of gel that can be injected either intradermally or supraperiosteally. The gel is distributed homogenously at the injection site without any significant side effects and leaves no visible marks or traces. The gel fills in creases and grooves, eliminating wrinkles, and restores volume lost from aging. It also stimulates the production of collagen and restructures elastin to further enhance the regeneration of tissues and improve the elasticity and quality of the skin. Repeated treatments with the gel can be done two weeks after the first injection. It offers a distinct advantage over surgical procedures as it is minimally invasive, non-traumatic, and is an effective procedure to treat deep wrinkles, facial imperfections, and to recontour the facial outlines for a younger-looking appearance. The gel can also be used for augmenting the volume of the cheekbones, chin, mandibles, and lips. 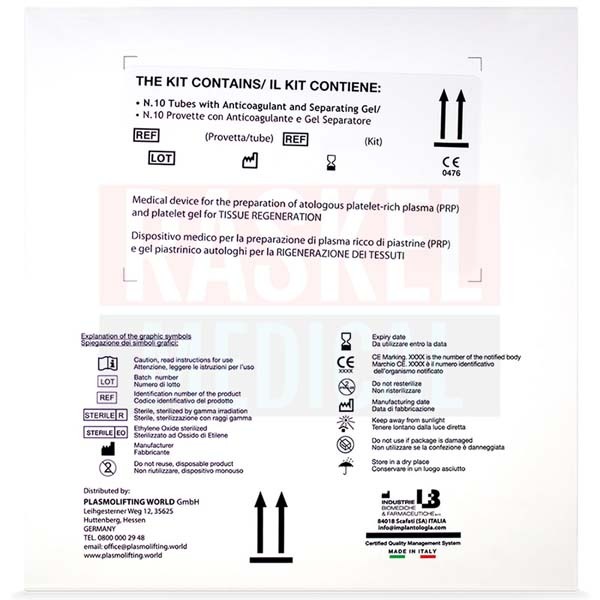 Plasmolifting PRP Gel is manufactured by Industrie Biomediche Farmaceutiche, which is based in Scafati, Italy. 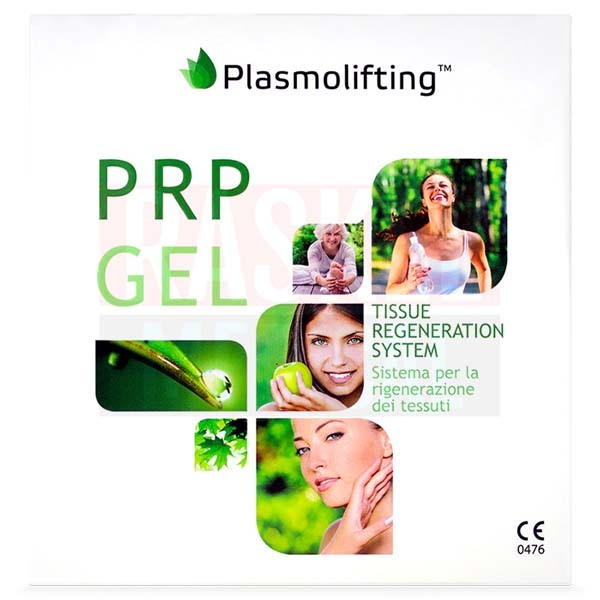 Plasmolifting PRP Gel comes from Italy. The common side effects associated with Plasmolift PRP Gel injections are injection related reactions such as redness, swelling, pain, and bruising. They usually appear immediately and resolve fast, most commonly within a week. There are also reports of nodular formation and beading, but they occur very rarely. Plasmolifting PRP Gel is suitable for all skin types (i.e. all Fitzpatrick skin types). 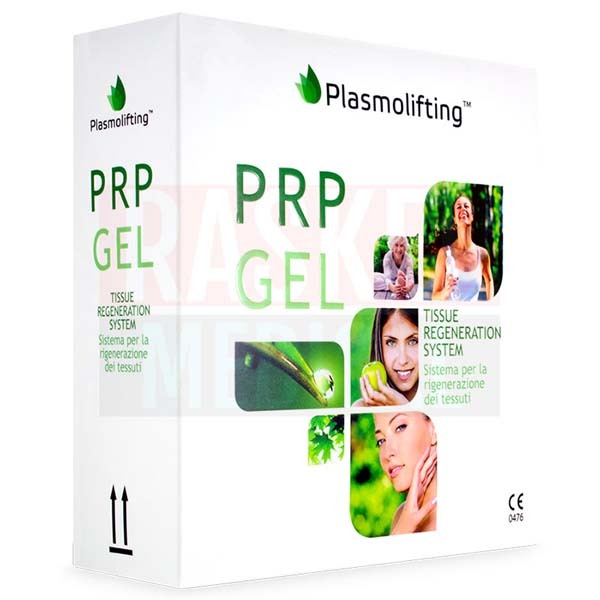 Plasmolifting PRP gel does not contain any hormones or carcinogenic substances. The Plasmolifting tubes are essential to obtaining the autologous plasma that can be injected into the body. It contains sodium citrate, which is an anticoagulant, to prevent platelet aggregation and blood clotting. It also has thixotropic gel that separates the platelets from the red and white blood cells to ensure a high theopoetic value once injected into the skin. And finally, it is made of high-quality borosilicate medical glass, which ensures stability of the components inside, is sterile, and has the ability to maintain the vacuum in the tube. There are Plasmolifting tubes, Plasmolifting centrifuges, and Plasmolifting thermostats. The Plasmolifting tubes are the products currently described in this article. They contain the components necessary to store and transport the blood acquired from the patient to the centrifuge. There are multiple Plasmolifting centrifuges, with different models giving differing degrees of rotation per minute, power requirement, capacity, and weight. Plasmolifting thermostats, on the other hand, function to heat the components in the tube after the centrifuge process. There is currently only one offering from the company for the tube and thermostat (also known as mini dry bath incubator). Ensure that you have all the equipment needed before starting treatment: the special thermostat (heats up to 95 degrees Celsius); a centrifuge (with fixed-angle rotor) adapted for Plasmolifting tubes; peripheral venous catheters with a diameter of at least 1.1mm (21 to 23G); special Plasmolifting tubes (9ml, sterile with sodium citrate and thixotropic gel), luer-lock syringes (2.5ml volume), and 23G needles for injection. Attach the 23G needle to a luer-lock syringe and start by collecting blood from the patient at their preferred arm. Place the tubes into the centrifuge and set it to 4000 rotations per minute for five minutes. Balance the centrifuge with another tube (filled with water or salt solution) that has the same volume as the tube used to obtain the Plasmolifting PRP Gel. After the centrifuge process, five layers will form in the tube. From the top, these are: platelet-poor plasma, platelet-rich plasma, buffy coat, separating gel, and the blood clot. Using another set of needle and syringe, extract the platelet-rich plasma layer. Place the plasma into tubes and set them into the thermostat. If 0.5 to 0.8ml is collected, let it sit for four minutes. If 0.8 to 1ml is collected, let sit for five minutes. And if 1 to 1.14 ml is collected, let sit for six to seven minutes. Once the heat activation is complete, the plasma will turn into Plasmogel. Let it rest for two minutes before injecting into the skin. Prepare the skin via aseptic technique and with a suitable cleansing agent. Inject the gel into the skin following standardized protocols on dermal filler injection techniques. 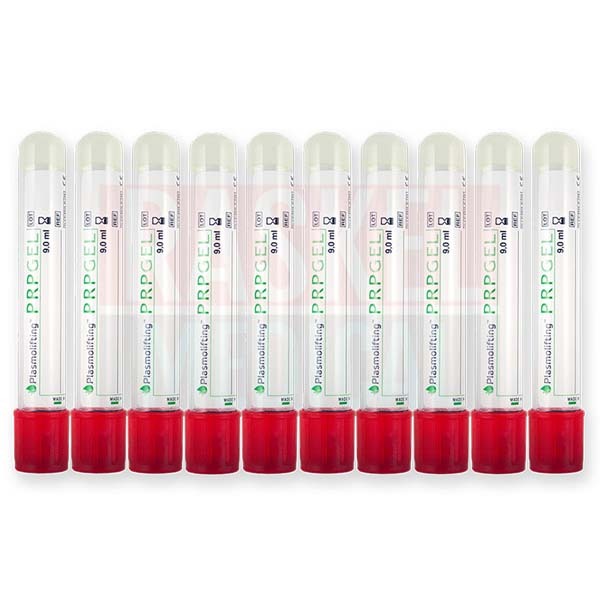 The contents in the Plasmolifting tubes contain sodium citrate which prevents blood clotting and contains thixtropic gel that separates the platelets from the white and red blood cells. These contents make sure that a well-defined barrier is formed so that plasma does not mix in with the rest of the blood component. The autologous gel can remain within the tissue for six months to two years. The duration of effect depends largely on the site of injection and individual variation between patients. Plasmolifting tubes can be stored in room temperature in dry places, and away from direct heat and light sources.